Inmarsat has selected Thales to develop and manufacture a Complementary Ground Component (CGC) terminal for its European Aviation Network (EAN) high-speed inflight connectivity solution. NASA has awarded five additional space station cargo-supply missions to SpaceX in a late-December contract with an undisclosed value that industry officials estimate at around $700 million. The contract, signed just before Christmas, was not announced at the time by either party but has been confirmed by both. It brings to 20 the number of missions now assigned to SpaceX under the Commercial Resupply Services (CRS) contract first signed in 2008. In contrast, the other company performing CRS missions, Orbital ATK of Dulles, Virginia, has been assigned just 10 flights and was not part of the end-year orders. TYSONS CORNER, VA, February 26, 2016 — Iridium Communications (Nasdaq: IRDM) has moved back the launch of the first set of Iridium NEXT satellites to July using SpaceX‘s Falcon 9 rocket following delays in obtaining clearance from the Russian government, ExecutiveBiz reported Thursday. The report said Iridium CEO Matt Desch told investors at an earnings call that Russia’s defense ministry has not yet provided feedback on the application submitted by launch provider Kosmotras. “Even with this change, the Iridium NEXT constellation remains on track for full deployment in 2017,” he said. WASHINGTON — SpaceX postponed the launch of an SES communications satellite on an upgraded Falcon 9 by 24 hours Feb. 24. SpaceX postponed the launch a little more than a half-hour before the launch window opened at 6:46 p.m. Eastern, shortly before propellant loading was scheduled to begin. “Out of an abundance of caution, the team opted to hold launch for today to ensure liquid oxygen temperatures are as cold as possible in an effort to maximize performance of the vehicle,” the company said in a statement. The upgraded version of the Falcon 9, which is making its second launch on this mission, uses liquid oxygen cooled to near its freezing point to increase its density. The use of “densified” propellants is one of several changes to the vehicle to improve its performance and increase its payload capacity. Two satellites, Texas A&M University’s AggieSat4 satellite and University of Texas’ Bevo 2 satellite, have deployed from the International Space Station (ISS), MEI Technologies (MEIT) announced Feb. 23. The satellites are for a mission dubbed the Low Earth Orbiting Navigation Experiment for Spacecraft Testing Autonomous Rendezvous and Docking (LONESTAR), for which MEIT serves as the mentor under aNASA Johnson Space Center Engineering, Technology, and Science (JETS) contract. The purpose of the LONESTAR mission — which is the second of four missions in the LONESTAR investigation project — is for the two satellites to talk, take pictures and track each other while moving closely together. The LONESTAR project is meant to demonstrate the capability of satellites to autonomously rendezvous and dock with each other, saving man hours and eliminating human error. Mexico-based Internet service provider StarGroup has entered a contract worth more than $200 million for a significant portion of the capacity on EchoStar 19 and a Hughes Jupiter System for the launch of a high speed Internet service in Latin America. Under the contract, Hughes will supply a Jupiter gateway, high-performance Ka-band terminals and a comprehensive suite of managed services for operational and customer support. Hughes will install a Jupiter gateway in the city of Arica, Chile, and manage it remotely from its Network Operations Center (NOC) in Germantown, Md. The Jupiter System’s flexible configuration management and Application Programming Interfaces (APIs) will enable rapid integration with StarGroup’s existing financial and customer support systems. LANCASTER, Calif. — A report released by NASA Feb. 18 found no scientific showstoppers for the agency's planned Asteroid Redirect Mission (ARM), but suggested a precursor mission to the selected asteroid could improve the odds of success. The 21-member Formulation Assessment and Support Team (FAST) was chartered by NASA last fall to examine scientific issues involved with the mission to support development of its first element, a robotic spacecraft called the Asteroid Redirect Robotic Mission (ARRM). That spacecraft will travel to a near Earth asteroid, grab a boulder from its surface, and return it to cislunar space. The FAST report examined several topics, with a particular focus on 2008 EV5, the asteroid serving as the notional target of the mission. Those analyses included the presence of boulders on the asteroid's surface, the strength of the boulders and their cohesion with the surface. It also addressed issues with bringing the boulder back to cislunar space and safety issues for future crewed missions to the recovered boulder. Scott Kelly isn't bringing home a souvenir of his year in space. The NASA astronaut, who has been living and working on the International Space Station since March 2015, is set to return home to Earth on Tuesday (March 1) after 340 days circling the planet. Kelly is the first American to embark on such a long mission and, together with Russian cosmonaut Mikhail Kornienko is the first to stay for nearly a year at the orbiting outpost. "I don't look at souvenirs that have been flown in space the same [way] that other people do, only because I've been in space so many times," Kelly explained Thursday (Feb. 25) in a press conference from the space station. "I absolutely understand why other people do and I respect that, but the fact that I've been here four times and well over 500 days, it doesn't have the same meaning to me." More people than ever are hoping they have “The Right Stuff,” and more people than ever will be disappointed that they do not. By the deadline on Thursday, more than 18,300 people had submitted their résumés in hopes of joining the next group of NASA astronauts. That includes 4,000 procrastinators who applied in the final 48 hours. 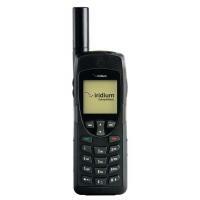 MCLEAN, Va., Feb. 16, 2016 (GLOBE NEWSWIRE) -- Iridium Communications Inc. (NASDAQ:IRDM) announced today a contract award from global aerospace and defense company General Dynamics, to provide its newest satellite handset, the Iridium Extreme® 9575, redesigned exclusively for government use. This new version is lighter, tougher, and more feature rich as well as less expensive, extending Iridium's position as a market leader in providing secure reliable, global communications for the U.S. Department of Defense (DoD). As a major provider of Iridium® satellite solutions and products, General Dynamics delivers global satellite communications services to the U.S. and foreign governments. 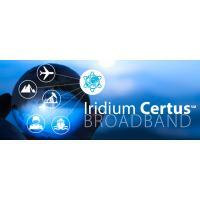 Their distribution network, combined with the Iridium satellite network, brings a strong partnership to the industry enabling life-saving communications products, and delivering vital information to the U.S. Government and the DoD. MOJAVE, Calif. — Virgin Galactic rolled out its second SpaceShipTwo suborbital spaceplane Feb. 19 as the company seeks to rebound from a fatal test flight accident more than a year ago. In a ceremony at Virgin Galactic’s Final Assembly, Integration and Test Hangar here attended by a mix of dignitaries, celebrities and some of its several hundred customers, the company showed off a vehicle that the company billed as a symbol as its determination to recover from the October 2014 loss of the first SpaceShipOne during a test flight. “One of reasons that we’re so proud of the spaceship we will shortly present to you is that it is the product not just of skill and determination, but of a willingness to learn and a commitment to continually improve,” George Whitesides, Virgin Galactic chief executive, said at the event. Inmarsat (LSE:ISAT.L), the leading provider of global mobile satellite communications services, today announces its partnership with Actility, the industry leader in Low Power Wide Area Networks (LPWAN), and a founding member of the LoRa Alliance, to enable an end-to-end IoT solution to connect assets over public and private networks, anywhere in the world. “Inmarsat already has a long and successful history in providing remote connectivity,” said Greg Ewert, President, Inmarsat Enterprise. “This partnership enables additional flexibility for IoT networks – meaning systems integrators and customers using Inmarsat’s connectivity and Actility’s solution – to connect all of their assets on one platform, without having to spend the time and resource dealing with multiple connectivity providers, or the cost and complexity of multiple roaming agreements. MOFFETT FIELD, California — Within five years, companies could begin in-orbit manufacturing and assembly of communications satellite reflectors or other large structures, according to Made in Space, the Silicon Valley startup that sent the first 3D printer to the International Space Station in 2014. As Made in Space prepares to send a second 3D printer into orbit, the company is beginning work with Northrop Grumman and Oceaneering Space Systems on Archinaut, an ambitious effort to build a 3D printer equipped with a robotic arm that the team plans to install in an external space station pod, under a two-year, $20 million NASA contract. The project will culminate in 2018 with an on-orbit demonstration of Archinaut’s ability to additively manufacture and assemble a large, complex structure, said Andrew Rush, Made in Space president. Engineers from NASA’s Langley Research Center in Hampton, Virginia, and Boeing dropped a full-scale test article of the company’s CST-100 Starliner into Langley’s 20-foot-deep Hydro Impact Basin. Although the spacecraft is designed to land on land, Boeing is testing the Starliner’s systems in water to ensure astronaut safety in the unlikely event of an emergency during launch or ascent. Testing allows engineers to understand the performance of the spacecraft when it hits the water, how it will right itself and how to handle rescue and recovery operations. The test is part of the qualification phase of testing and evaluation for the Starliner system to ensure it is ready to carry astronauts to and from the International Space Station. Globalstar has entered a strategic partnership with integrated avionics and Automatic Dependent Surveillance-Broadcast (ADS-B) systems producer Avidyne Corporation to develop and certify satellite-based Internet and voice communications products for the aviation market. These new solutions, for which Avidyne is the exclusive seller, will leverage Globalstar’s second-generation satellite network. Globalstar and Avidyne will create products for light to medium business and general aviation aircraft to have low cost Internet access. Backup communication systems for larger business aircraft that are also equipped with a high bandwidth satcom or Air-to-Ground (ATG) communications system will also be available. spectacular imagery of these extraterrestrial sand dunes. WASHINGTON — A Seattle-based company that provides launch services for small satellites is now able to sell those services to U.S. government agencies through a standard government contract schedule, although it is unclear who would purchase those launches. Spaceflight Inc. announced Feb. 10 that the U.S. General Services Administration (GSA) has added the company’s small satellite launch services to its Professional Services Schedule. The schedule provides a fixed-price list of services that government agencies can purchase directly without a competition. Spaceflight’s GSA schedule offers agencies several different options for launch services. The smallest option covers the launch of a three-unit cubesat, weighing no more than five kilograms, at a price of under $280,000. The largest option is for a 300-kilogram satellite, for nearly $7.7 million. People around the world cheered yesterday morning (Feb. 11) when scientists announced the first direct detection of gravitational waves — ripples in the fabric of space-time whose existence was first proposed by Albert Einstein, in 1916. The waves came from two black holes circling each other, closer and closer, until they finally collided. The recently upgraded Large Interferometer Gravitational Wave Observatory (LIGO) captured the signal on Sept. 14, 2015. Not every scientific discovery gets this kind of reception, so what exactly is all the hype about, and what's next for LIGO now that it has spotted these elusive waves? First of all, detecting two colliding black holes is thrilling by itself — no one knew for sure if black holes actually merged together to create even more-massive black holes, but now there's physical proof. And there's the joy of finally having direct evidence for a phenomenon that was first predicted 100 years ago, using an instrument that was proposed 40 years ago. The European Space Agency is giving up on trying to contact the lost Philae comet lander, which had an unexpectedly rough touchdown after its release 16 months ago from the orbiting Rosetta mothership. Rather than harpooning itself onto the surface of comet 67P/Churyumov-Gerasimenko, Philae bounced several times before coming to a rest against a cliff wall. The probe ran through an automated three-day series of science experiments and relayed the results back to Earth before its batteries lost power. NASA said it detected mold contamination on two cargo bags being prepared for a Cygnus mission to the station. The agency decided to disinfect every bag as a precaution, including those that had already been stowed inside the Cygnus. That work will push back the mission, previously set for launch on an Atlas 5 for March 10, to March 22. The source of the mold wasn’t clear. An international band of asteroid experts gathered Tuesday to discuss the future of asteroid research and avoidance in preparation for the second annual Asteroid Day. On June 30, 1908, a large meteorite or comet exploded above the remote Russian countryside, flattening 770 square miles (1,990 square kilometers) of forest. 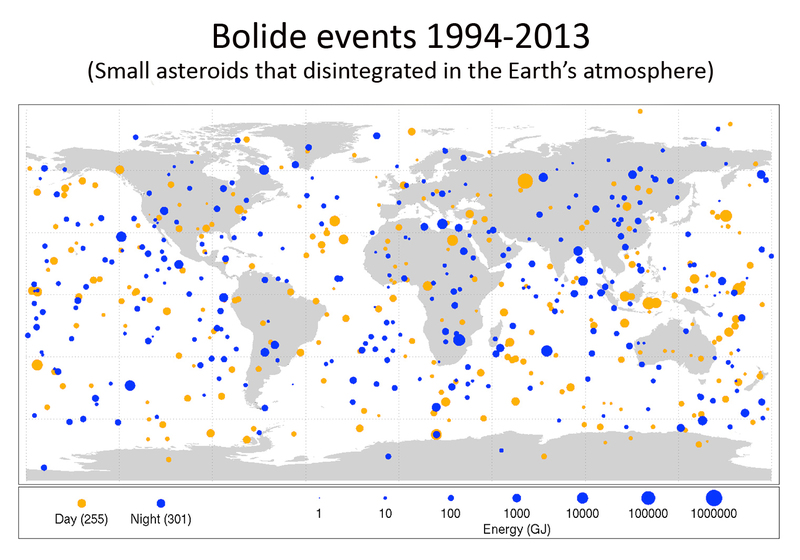 Now, June 30 is Asteroid Day, part of a campaign to raise awareness of the dangers of an asteroid strike on Earth. At a press conference Feb. 9, the organizations behind Asteroid Day announced their plans for the latest effort, inviting a panel of experts to speak about the need for more study of asteroids as well as a commitment to preventing a large body from striking the Earth. The event was held at the European Space Research and Technology Centre (ESTEC). In that allocation, Congress declared that NASA must have the Europa mission ready to launch by 2022. But NASA's fiscal year 2017 budget request, which was released Tuesday (Feb. 9), includes just $49.6 million for the Europa effort — a level that, when combined with predicted funding in the coming years, "supports a Europa mission launch in the late 2020s," NASA chief financial officer David Radzanowski said during a news conference Tuesday. PARIS—Satellite fleet operator SES on Feb. 8 said it is targeting Feb. 24 for the launch of its SES-9 telecommunications satellite aboard a SpaceX Falcon 9 Full-Thrust rocket, a launch that has been repeatedly delayed since September. Luxembourg-based SES said SpaceX has agreed to modify the SES-9 launch profile to permit the satellite to enter commercial service in before July, as was planned in December, before the latest series of launch delays. SES did not immediately respond to requests for comment on what flight modifications Hawthorne, California-based SpaceX had agreed to make to reduce the time from when the satellite is dropped off in transfer orbit to its arrival at its operational position in geostationary orbit. Inmarsat has become a member of the LoRa Alliance, an international non-profit organization founded in 2015 to standardize Low Power Wide Area Networks (LPWAN) for the Internet of Things (IoT). Members of the Lora Alliance seek to guarantee interoperability between operators in order to make LoRaWAN an open global standard for IoT applications worldwide. Inmarsat will provide the LoRa ecosystem with satellite connectivity to enable the deployment of solutions anywhere an object or device needs to be connected. WASHINGTON — The U.S. Air Force kicked off a two-launch, six-day stretch by lifting the last in the 2F series of GPS satellites Feb. 5 from Cape Canaveral Air Force Station, Florida. The satellite launched aboard a United Launch Alliance Atlas 5 rocket. ULA officials said the launch included a new suite of avionics, flight software and ground systems as part of long-standing company initiative to reduce cost and improve reliability. The 12 GPS 2F satellites, the first of which launched in May 2010, were built by Boeing Network and Space Systems of El Segundo, California. The satellites provide better accuracy and resistance to jamming than the previous generation of GPS satellites, most of which are still in operation. “The GPS 2F satellite performance has been exceptional and is expected to be operational for years to come,” Lt. Gen. Samuel Greaves, commander of the Air Force’s Space and Missile Systems Center, said in a Feb. 5 press release. The Forestry Commission in England and Scotland has agreed to deploy 550 Globalstar Spot Gen3 messengers under a new sales and support contract with Global Telesat Communications (GTC). The organization is using satellite to improve the safety of its staff when working in areas with unreliable mobile phone and radio communications. Of the 550 devices, the Forestry Commission already deployed the first 200 units nationwide, and intends to deploy the remainder over the next 12 months. In an emergency situation, lone workers can press a button on the Spot Gen3 to alert emergency services via the GEOS International Emergency Response Coordination Centre (IERCC). 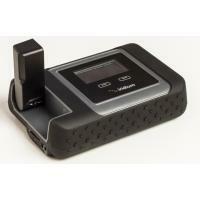 The device uses Globalstar’s satellite network for communications, even in remote regions. A built-in tracking feature can help locate forestry staff if there is an incident and they are unable to press the emergency button. The Spot Gen3 can also be preconfigured to send location data to a central coordinator every 2.5, 5, 10, 30 or 60 minutes, provided the device is moving. PARIS —The Luxembourg government on Feb. 3 announced it would seek to jump-start an industrial sector to mine asteroid resources in space by creating regulatory and financial incentives. The incentives include co-investment in research and development and, eventually, direct capital investment in space resource-mining companies setting up shop in Luxembourg. Announced by Vice Prime Minister Etienne Schneider, who is also the nation’s economics minister, the initiative has already lured U.S.-based Deep Space Industries of Mountain View, California, to create a Luxembourg subsidiary. Schneider said other U.S. companies, including SpaceX of Hawthorne, California, and Planetary Resources of Redmond, Washington, are in talks with Luxembourg authorities regarding the Spaceresources.lu venture. WASHINGTON — The Obama Administration's final budget request, released Feb. 9, offers $19 billion for NASA in fiscal year 2017, a decrease of $300 million from the agency’s final 2016 budget. The budget, as proposed, would shift some funds from NASA's exploration programs to aeronautics and space technology, in addition to the overall cuts, while also shifting funds within the agency's science account. The budget request is likely to face strong opposition in Congress, where House and Senate leaders have already said that the administration's overall budget request will be considered dead on arrival. Elements of the NASA proposal are also likely to face congressional scrutiny. NASA has selected 13 CubeSats to test new technology on the first flight of the agency’s upcoming rocket, the Space Launch System (SLS), set to pave the way for deep space exploration. Launching in 2018, the new rocket aims to first propel an unmanned Orion spacecraft beyond the moon and into deep space, with NASA’s sights set on a journey to Mars. The small satellite secondary payloads will fly on SLS’ Exploration Mission-1 (EM-1) to carry out science and technology investigations in deep space and, hopefully, set the course for future human exploration into deep space. “Exploration Mission-1 will be a proving ground mission, whose goal is to demonstrate the integrated performance of SLS and Orion before we put crews on it for the first crewed flight. Because of the robust capability of the Space Launch System, we have a unique opportunity to transport small spacecraft and technology experiments onboard the very same mission,” said Todd May, Marshall Space Flight Center director, during a press event held at the center in Huntsville, Ala., to announce the small satellite fleet selection on Feb. 3. 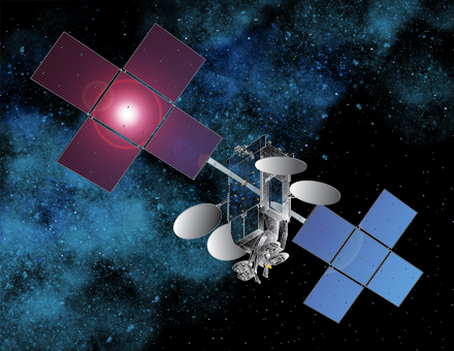 SES has launched a new satellite data network called SES Plus that melds the operator’s geostationary (GEO) capabilities with those of O3b Networks’ Medium Earth Orbit (MEO) satellites. SES Plus brings to market customized products and solutions from both satellite systems, combining GEO wide-beams and upcoming High Throughput Satellite (HTS) payloads with MEO HTS connectivity. SES’ first Plus product, Enterprise+ Broadband, launched across five markets in Africa this past November. The service offers up to 1 Gbps of connectivity with plug-and-play and pay-as-you-go options to ensure the service can go live quickly. SES also plans continued investments in ground infrastructure to ensure easy accessibility to space. Inmarsat, the world’s leading provider of global mobile satellite communications, is inviting application, hardware and software developers to join its growing community of technology companies at the second annual Inmarsat Developer Conference (IDC 16), being held in London (29 February – 1 March). Three key areas of focus at the Conference will include development opportunities in ‘sustainable fishing’, ‘digital transformation’ and ‘machine-to-machine’. These and eight other areas will form part of the two-day programme, which will feature hands-on technical workshops and expert sessions with representatives from each of Inmarsat’s core markets; Maritime, Aviation, Enterprise, and Government. The European Space Agency (ESA) will be present to provide details of how developers can apply for funding. WASHINGTON — Faced with a congressional mandate to add a lander to a planned mission to Jupiter’s icy moon Europa, NASA is considering launching the lander separately from the main mission. In discussions Feb. 1 at a meeting of NASA’s Outer Planets Assessment Group in San Antonio, Texas, agency officials said they are considering how to add a lander to a mission under development to make multiple flybys of Europa, even though the lander will weigh significantly more than the main “clipper” spacecraft. Curt Niebur, outer planets program scientist at NASA Headquarters, said at the meeting that the biggest challenge of adding the lander to the Europa mission is its mass: about 8,000 kilograms, to accommodate the propellant needed to land the spacecraft softly on the surface. He added that estimate was “very rough” based on the limited studies of lander concepts to date. By comparison, the clipper spacecraft alone would have a mass of only about 5,000 kilograms. Airbus and OneWeb on Jan. 26 announced they had formed the company OneWeb Satellites, which will build the OneWeb constellation – 648 satellites plus spares, for a total of about 900. The two companies said Brian Holz, OneWeb’s chief technology offer, would be chief executive of OneWeb Satellites, in which Airbus and OneWeb will have equal ownership shares. The first 10 satellites will be built at Airbus’s Toulouse, France, facility and launched aboard Russian Soyuz rockets — either the Europeanized version operated from Europe’s spaceport here, or the fully Russian version launched form Russian territory — in 2018. The remaining 890 OneWeb spacecraft are to be built at a U.S. facility that industry officials say is likely to be located in Florida but has not yet been announced. This week the U.S. Air Force, Boeing and United Launch Alliance (ULA) are planning to launch the final Global Positioning System (GPS) 2F series satellite, GPS 2F-12, in what marks not only the last 2F mission, but also the beginning of a busy year of National Security Satellite (NSS) launches. ULA is set to launch GPS 2F-12 on Feb. 5, following a brief delay to evaluate the electrical connectors on the Atlas 5 booster. The mission, according to Col. Steve Whitney, director of the U.S. Air Force’s Global Positioning Systems Directorate, caps off a 21-month stretch during which the U.S. launched seven GPS satellites. He described this period as one of the most aggressive launch campaigns in 20 years, but the Air Force is also looking forward to a packed launch schedule in 2016. PARIS— An International Launch Services (ILS) Russian Proton rocket on Jan. 30 successfully placed the Eutelsat 9B commercial telecommunications satellite into orbit, with Proton's Breeze-M upper stage separating the satellite nine hours and 12 minutes after liftoff from Russia's Baikonur Cosmodrome in Kazahkstan. Paris-based Eutelsat said the satellite was healthy in orbit and sending signals, and that the solar panels had deployed as planned. Built by Airbus Defence and Space of Europe, Eutelsat 9B weighed 5,162 kilograms at launch and carries 47 36-megahertz-equivalent transponders in Ku-band for video coverage mainly in Europe through five beams – one pan-European and four regional beams. It will operate from 9 degrees east in geostationary orbit, where it will replace the Eutelsat 9A satellite launched a decade ago. Spacecom, operator of the Amos satellite fleet, announced that SpaceX has scheduled the launch of the Amos 6 satellite for May aboard a Falcon 9 rocket from Cape Canaveral, Fla. Amos 6, to be collocated with Amos 2 and Amos 3 at the 4 degrees west prime orbital position, will provide services to Western, Central and Eastern Europe, Africa, and the Middle East. Amos 6 features 39 Ku-band segments and 24 Ka-band beams. Facebook has selected Amos 6’s Ka-band beams to be the satellite backbone of its initiative to bring broadband Internet to Sub Sahara Africa with Eutelsat. The new satellite will be larger than Amos 2 and Amos 3 combined and will incorporate new technologies such as high throughput Ka-band spot beams for improved broadband Internet access. The Ka-band spot beams will cover Europe and Africa as well as Ku-band technologies for new and existing clients. Looks like SpaceX's new space taxi for astronauts has serious hover power. An awesome new video of SpaceX's Dragon 2 crew capsule shows the gumdrop-shaped spacecraft hovering perfectly in place for several seconds under the power of its abort and landing rockets. 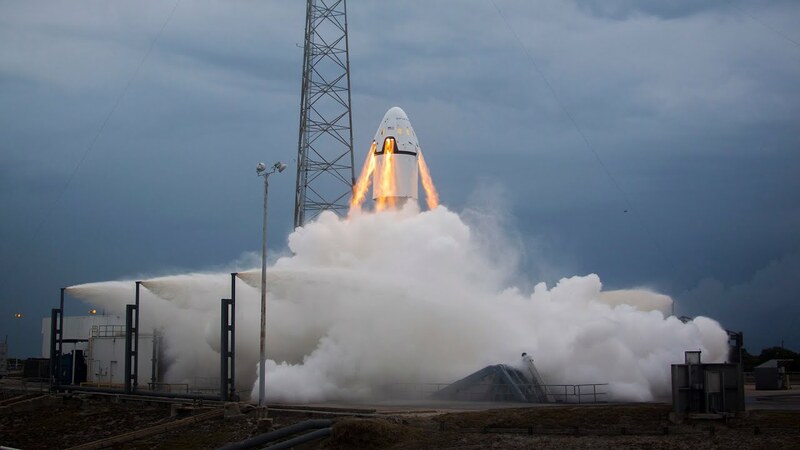 Secured by a tether, the spacecraft's eight SuperDraco engines fired and then held the machine in place at SpaceX's rocket development facility in McMurdo, Texas. SpaceX performed the test last November, but only publicly unveiled it on YouTube last week. PARIS — Sierra Nevada Corp.'s win of a NASA contract to ferry cargo to the International Space Station will trigger a $36 million investment by the 22-nation European Space Agency following a cooperation agreement to be signed in the coming weeks, ESA said. Once the agreement is signed, ESA will begin work building the first flight model of the International Berthing and Docking Mechanism (IBDM), which Sierra Nevada's Dream Chaser Cargo System will use to attach itself to the space station. ESA said it would spend 33 million euros ($36 million) to complete the design of the IBDM and build a flight model for Dream Chaser's first cargo run. Future IBDMs will be financed by Sierra Nevada, ESA said.